Let’s get Back to Business! (School is back in session and we are all returning from our vacations!) 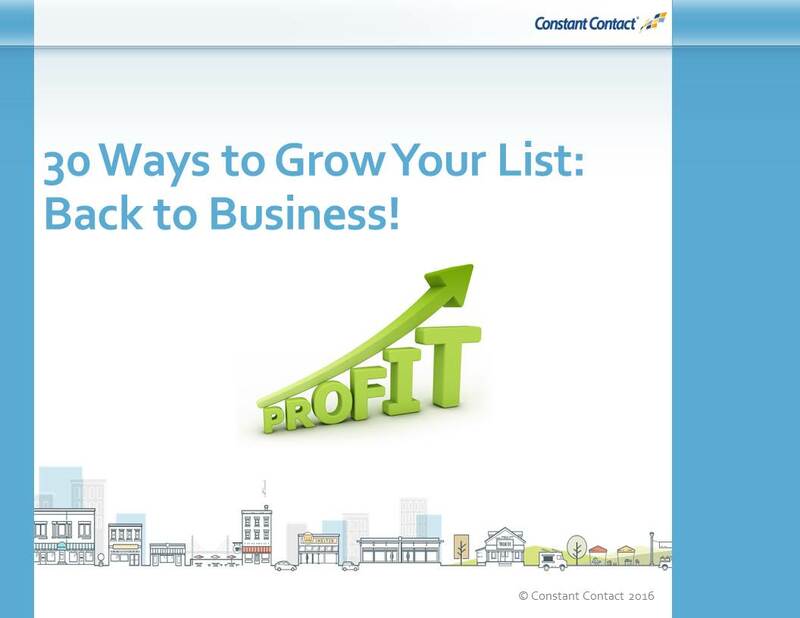 It’s time to grow your contact list! Join us for “30 Ways to Grow Your List” workshop – you’ll leave with ideas and strategies to capture newcontacts, grow your list and take action to help move your business forward. Plus, you’ll have a chance to network with other attendees and grow your contact list, live during theworkshop!